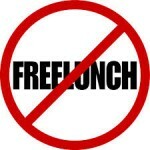 Chances are you’ve never paid anybody to have lunch with you, but chances are you aren’t Warren Buffett either. Every year, the Oracle of Omaha hosts an auction, with the highest bidder getting to join Buffett for lunch and bring seven guests—with the proceeds going to charity. The winner in this, the 18th year of the auction, came in at $2.67 million, which is actually below last year’s winning bid of $3.46 million. The auction takes place on eBay, with an opening bid for this expensive lunch set at $25,000. This year’s winning bidder is anonymous, but past winners include the owner of a Chinese online gaming company and Ted Weschler, a former hedge fund manager who was later hired to help run the investments of Buffett’s Berkshire Hathaway operation. In all, the auction has raised more than $25 million for a San Francisco charity called Glide, which offers free meals, health care, and other services to homeless and low-income people in San Francisco. As in the past, the lunch with Mr. Buffett will be at a steakhouse called Smith & Wollensky in New York.